Perfect straightnecks grow on sturdy, open, yet compact plants. Early, with rich yellow-squash flavor and very high yielding. 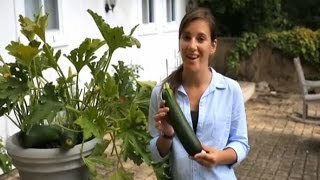 Summer squash and zucchini ripen early and are highly productive. The bush type plants take little space and produces 7-8" fruit. After danger of frost, sow 3 to 4 seeds in groups 3 to 4' apart or sow 6" apart in rows, later thinning to 3' apart. Squash, Summer, Saffron is rated 4.3 out of 5 by 12. Rated 5 out of 5 by Spenser from Very productive plants Extremely productive plants. Every day I would see new flowers and fruit. I had a rodent issue which stunted a few plants, but even the plants who were partially eaten still produced. The plants produced for a long time. Definitely easy to grow and worth the space. Rated 5 out of 5 by Gardengal614 from Produced an abundance Out of 100 seeds, we planted 20 and only a few didn't come up. That didn't matter because we had squash for months! All of our neighbors grew a different variety and they didn't produce many. We couldn't give our squash away fast enough! They started producing in June and it's the first of August and a couple of plants are still producing. The only downside to them is they were enormous space-hogs. Next year, we will know to plant the rows further apart, so we don't have to do acrobatics to pick them. Lol! Rated 5 out of 5 by SeniorGardening from A Great Open Pollinated Yellow Squash We usually plant a succession of hybrid yellow squash plants each year, harvesting them until they wear out or bugs get them. Along with our hybrids this year, we tried the open pollinated Saffron variety for the first time. I started a large (6") pot of them, letting three plants grow in it and transplanted them into our large East Garden in early May. The Saffron plants outlasted two hybrids, producing lovely yellow squash throughout the season. The Saffrons were a good bit taller than our usual hybrid, but took up no more space than them. This one is a keeper for our future garden plots. Rated 5 out of 5 by Cwgail from Wonderful squash!! Started indoors, set out after danger of frost, and they took off like a rocket!!! 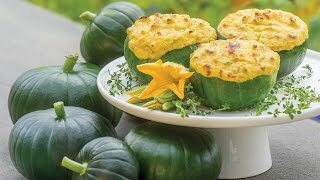 Gorgeous yellow squash with a wonderful taste!! Making so many, I have to share with the neighborhood! Rated 5 out of 5 by porky1 from More Than I expected This squash surprised me in multiple ways. The flavor was better than other reviews made me believe. This plant was planted on April first and is still producing like crazy!! My only problem is the plant is very vigorous in my raised bed. It has taken over a 4x4 section and is still growing strong. With this in mind, one plant has exceeded the production of 4 other plants put together (variety was Fortune). This is a real winner in my garden!!! Rated 4 out of 5 by ImpatientGardener from Very good yield I planted two hills in our small backyard garden. The plants are much more vigorous than I expected, crowding some of the other vegetables. Other than that, I'm happy with this variety. Rated 4 out of 5 by Frog from Good Squash Excellent compact plant. Heavy yielding. Counted off 1 leaf because of blossom end rot towards the end of the growing season. Rated 5 out of 5 by GardenPot from Husband Likes Them!! I grew these last season in an old wine barrel. The soil was a cheapy store brand. I beefed it up a bit with some Miracle Gro a couple of times. There was no problem with rot or bugs. From three plants we got several dozen squash and like most people we shared with family and friends. Squash of any kind is usually like kryptonite to my husband, but even he likes these. We harvested them when they were young, only about four or five inches long, maybe that made the difference. I'm by no means an expert gardener so I was surprised when these grew as well as they did. I'm trying them again this year. Wish me luck!